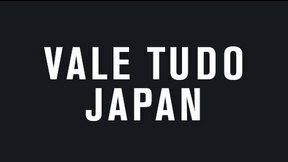 Vale Tudo Japan 1995 from April 20, 1995 in Tokyo, Japan. 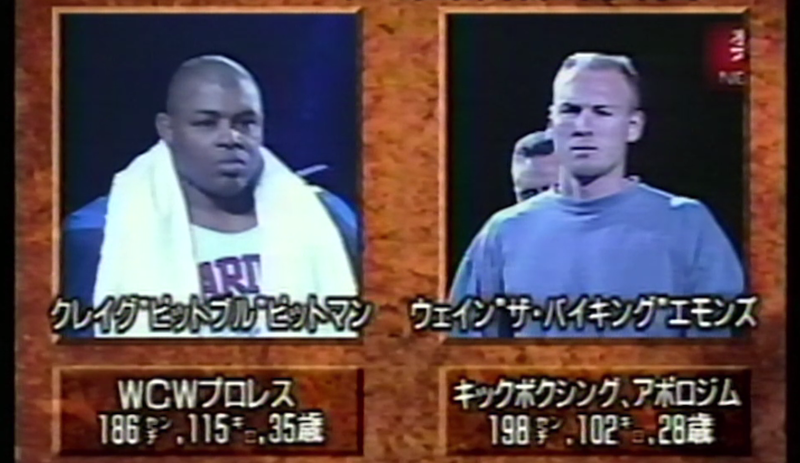 Craig Pittman vs Wayne Emons Vale Tudo Japan 1995 Thu, Apr 20, 1995 (4:25) Craig Pittman vs Wayne Emons at Vale Tudo Japan 1995 from April 20, 1995 in Tokyo, Japan. 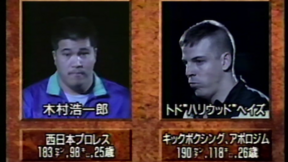 Yuki Nakai vs Gerarg Gordeau Vale Tudo Japan 1995 Thu, Apr 20, 1995 (29:44) Yuki Nakai vs Gerarg Gordeau at Vale Tudo Japan 1995 from April 20, 1995 in Tokyo, Japan. 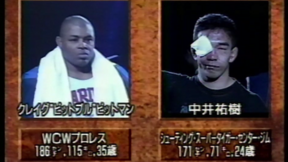 Todd Hayes vs Koichiro Kimura Vale Tudo Japan 1995 Thu, Apr 20, 1995 (4:32) Todd Hayes vs Koichiro Kimura at Vale Tudo Japan 1995 from April 20, 1995 in Tokyo, Japan. 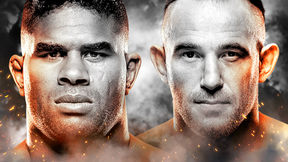 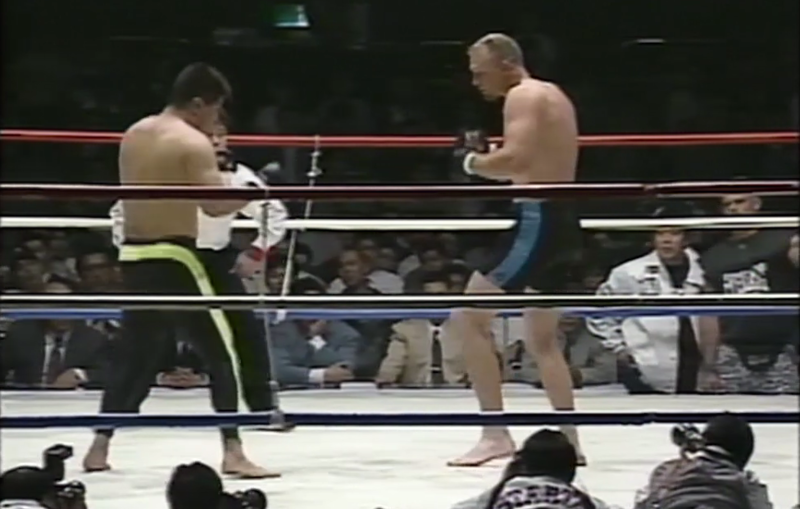 Rickson Gracie vs Yoshihisa Yamamoto Vale Tudo Japan 1995 Thu, Apr 20, 1995 (22:10) Rickson Gracie vs Yoshihisa Yamamoto at Vale Tudo Japan 1995 from April 20, 1995 in Tokyo, Japan. 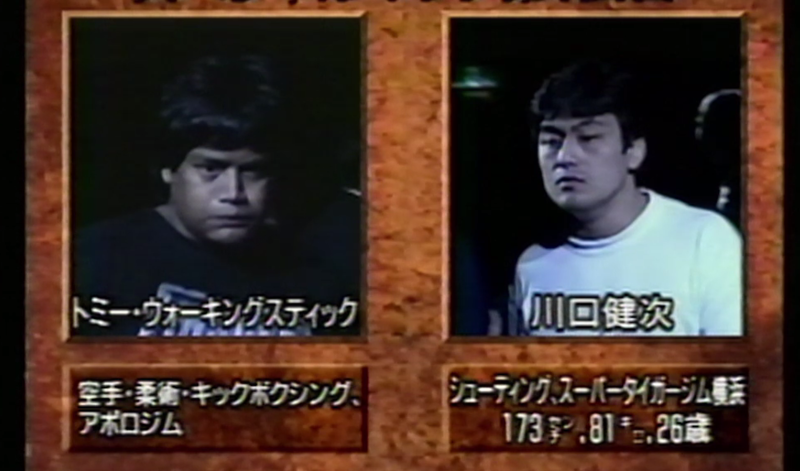 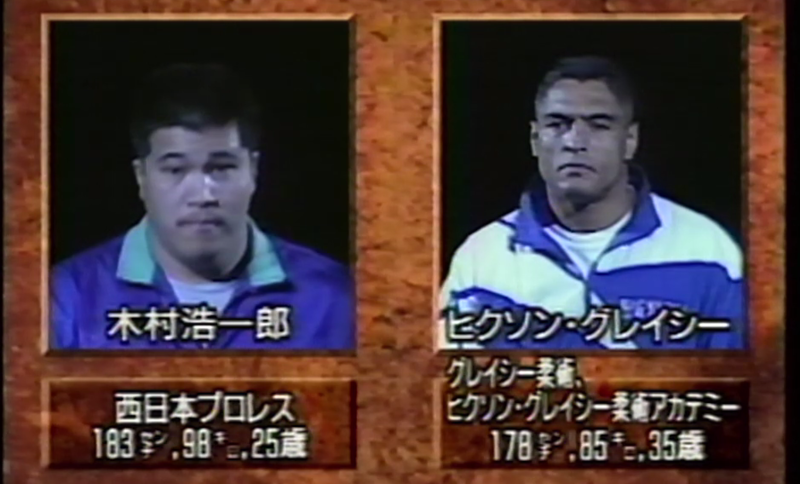 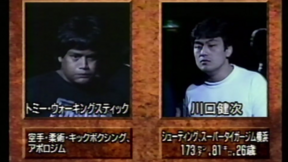 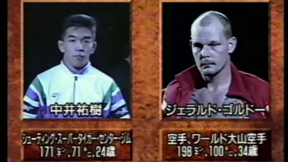 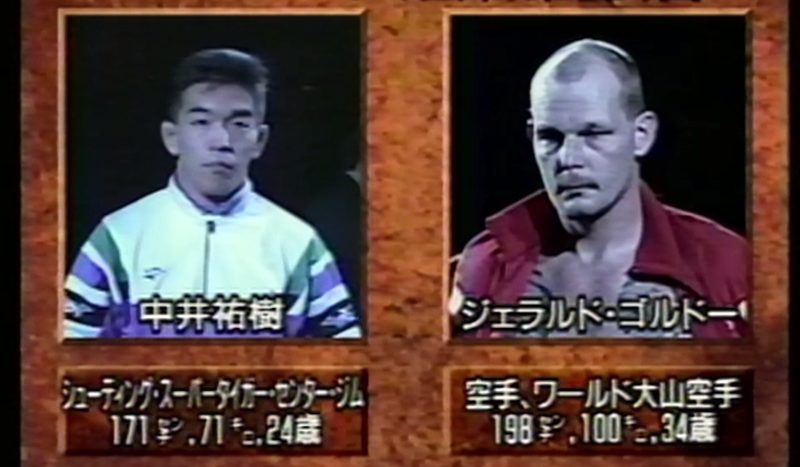 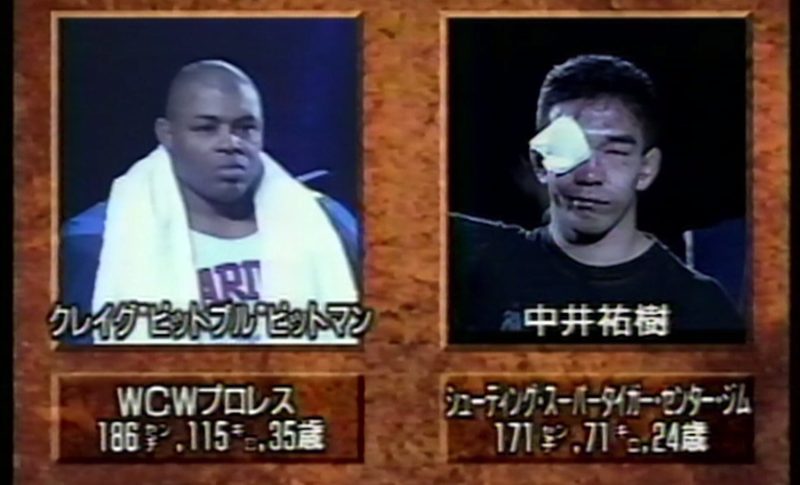 Kenji Kawaguchi vs Tommy Walkingstick Vale Tudo Japan 1995 Thu, Apr 20, 1995 (8:29) Kenji Kawaguchi vs Tommy Walkingstick at Vale Tudo Japan 1995 from April 20, 1995 in Tokyo, Japan. 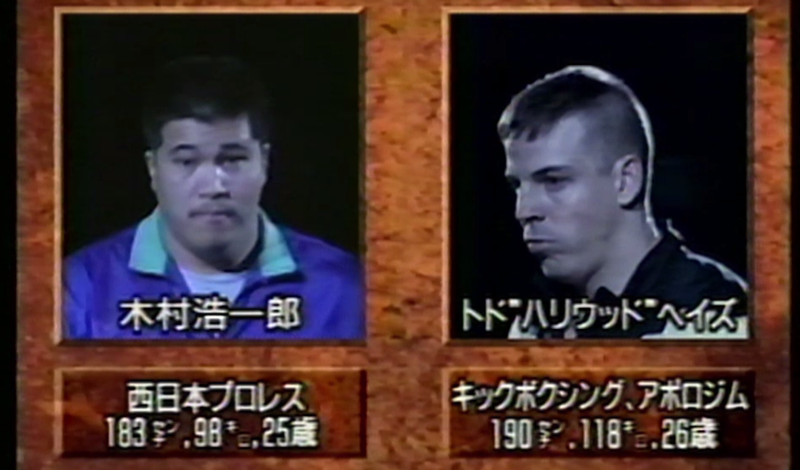 Yuki Nakai vs Craig Pittman Vale Tudo Japan 1995 Thu, Apr 20, 1995 (17:41) Yuki Nakai vs Craig Pittman at Vale Tudo Japan 1995 from April 20, 1995 in Tokyo, Japan. 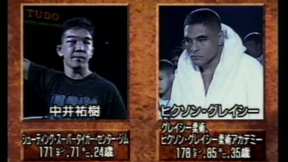 Enson Inoue vs Rene Rooze Vale Tudo Japan 1995 Thu, Apr 20, 1995 (8:22) Enson Inoue vs Rene Rooze at Vale Tudo Japan 1995 from April 20, 1995 in Tokyo, Japan. 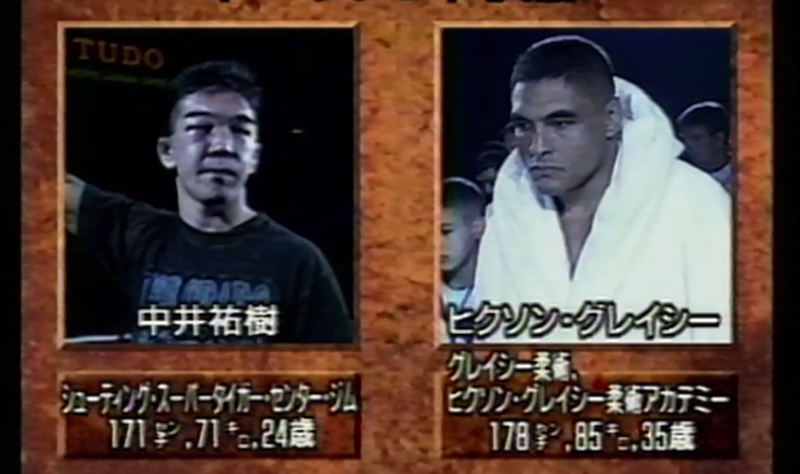 Koichiro Kimura vs Wayne Emons Vale Tudo Japan 1995 Thu, Apr 20, 1995 (2:58) Koichiro Kimura vs Wayne Emons at Vale Tudo Japan 1995 from April 20, 1995 in Tokyo, Japan. 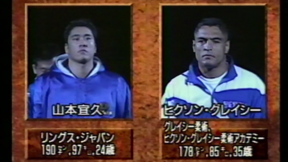 Rickson Gracie vs Koichiro Kimura Vale Tudo Japan 1995 Thu, Apr 20, 1995 (2:44) Rickson Gracie vs Koichiro Kimura at Vale Tudo Japan 1995 from April 20, 1995 in Tokyo, Japan. Rickson Gracie vs Yuki Nakai Vale Tudo Japan 1995 Thu, Apr 20, 1995 (8:01) Rickson Gracie vs Yuki Nakai at Vale Tudo Japan 1995 from April 20, 1995 in Tokyo, Japan.